Should you take a cash offer for your Milwaukee house? This article will explain how to sell any property for cash, some reasons that you might decide to refuse a cash offer – and when you probably shouldn’t say no. (If you don’t feel like reading though, and you’ve already decided you want a cash offer, go here): I want a cash offer. If you’re selling a property in Milwaukee to an end buyer (the person who intends to live in the home), chances are good it won’t be bought with cash. Almost all traditional real estate transactions close with mortgages and bank loans, because most end buyers don’t have the required cash. This isn’t news, and it’s not surprising. We probably all wish we were sitting on a couple extra hundred thousands. Even most investors don’t close transactions with cash. It’s too tempting to let a bank share the risk and hold the majority of the debt. At Cream City Home Buyers we don’t spread ourselves too thin, because our primary goal is to build a stable and long term business that helps communities all throughout the Milwaukee metro area. In most cases, we’ll pay cash for your Milwaukee Wisconsin property. You don’t have to deal with the hassles of waiting months for a buyer to get a mortgage, only for the lender to decide at the last minute that they’re not okay with property condition. Then you’re back to square one. You don’t have to list your house with a real estate agent and pay a large commission. You don’t have to deal with a lot of people just “kicking the tires” and checking out your property for fun. We don’t waste your time. This is our business and we’re professional home buyers. You don’t need to paint, make repairs, or even clean up. We take properties just as they are. You won’t waste money on junk haulers or contractors. You can even leave what you don’t want at the property. You don’t need to deal with any paperwork. We have it all covered and we have efficient processes that make the whole thing simple. Always make sure that your cash buyer is reputable. Just like most industries, there’s a lot of unscrupulous people trying to make it in this business. At Cream City Home Buyers, we offer great references of past sellers we’ve helped, we can show you examples of some of the latest projects we’ve worked on, and we’ll be happy to answer any questions you have so you feel comfortable. Contact Us Today! We pride ourselves on being a strong part of the Milwaukee community. Our local mission is to help local Milwaukee, Wisconsin homeowners who need to sell your Milwaukee house fast do it quickly, at a price fair to you, and to help improve the beauty of neighborhoods one house at a time. 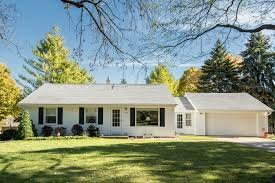 If you’re wondering about selling your house for cash in Milwaukee or just need to sell a property near Milwaukee, we can help, and we buy houses all throughout the greater Milwaukee metro, including all of Waukesha County.